Put on your Sunday best because it’s time for the tallest cathedrals in the world. I love churches. I also love Chvrches, but that’s for a different article. Seriously though you should check them out. Seriously though, sometimes enjoying a church is ALSO like walking on a tightrope. You have to take in the beauty and also the repression. It’s an interesting dynamic. Still, I can enjoy the beauty of their architecture no matter what. Sitting in an enormous building made for ritual with such attention to detail and history is inspirational. Whether it is spiritually or personally inspiring is up to you. But where can you find there great cathedrals? Where are the highest? Well, we’ve certainly got the list for you. You may also be interested in the 11 Biggest Churches in America. We have set out to rank the tallest cathedrals in the world, and as the title suggests, our ranking method is going to be pretty simple. We will consider the height of the cathedrals to rank them. The taller the building, the higher its position will be on our list today. To learn about the tallest cathedrals, we sought help from various online sources that have such measurements available. I think this is about time I name a few of them, we took help from ZoekenVindAlles, ChurchPOP and Ctbuh primarily to come up with our list. 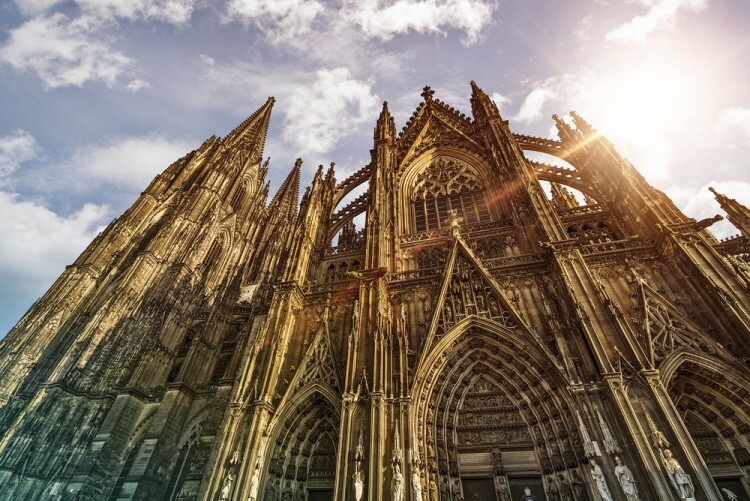 Hopefully, you will enjoy reading through our list of the tallest cathedrals in the world.